Rolls have 25 or 50 metres of ribbon. A popular ribbon with rosette companies and for Christmas decoration. 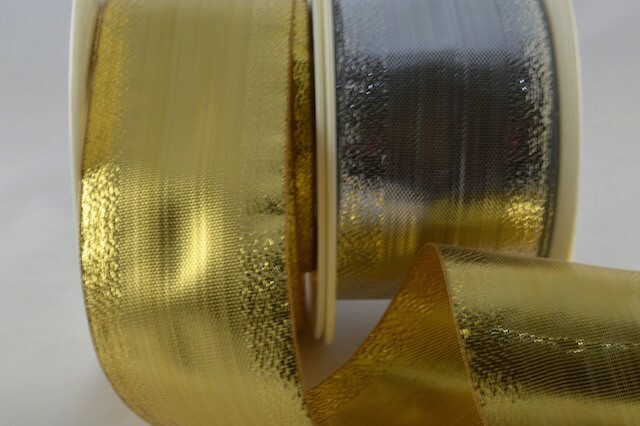 50018 - 10mm, 15mm, 25mm & 40mm Lurex Ribbon (25 Metres / 50 Metres) Rolls have 25 or 50 metres of ribbon. A popular ribbon with rosette companies and for Christmas decoration.